Due to numerous tender wins and further forecasted growth, we’re looking to support our already five-person strong team of developers with another back-end web developer. Web development is your passion. You’re confident, passionate and dedicated. A fast paced and dynamic environment doesn’t faze you and you strive to keep up with the ever-changing trends within the industry. You’ll have great people and communication skills and be comfortable working in a group supporting fellow team members. As you’ll be liaising with account managers and occasionally clients you will also need to be comfortable explaining technical matters with none technical people and putting things into layman’s terms. 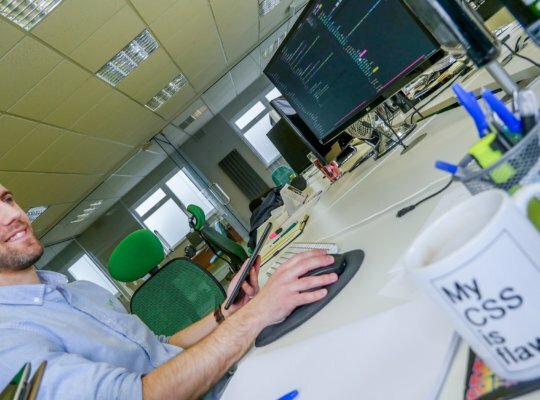 As a key member within the development team, you’ll be working alongside our dev team on exciting greenfield software projects for clients with an international presence. As we pride ourselves on retaining clients and providing ongoing support to them, you’ll also chip in with helping maintain and improve our existing projects.